Every healthcare renovation project should have a clear infection control system in place, the most effective tools, and the knowledge to handle situations as they arise. The componants to create an infection control protocol should include an isolated and controllable space, room ventilation and air control, proper cleaning and disinfection, and monitoring of the entire process. Healthcare-Associated Infections (HAIs) have become one of the biggest threats to patient and staff safety within the healthcare industry. However, efforts can be made to reduce the risk of HAIs through the development of barrier management and stringent cleaning protocols. Together with healthcare and public health partners, the CDC is working to bring attention to HAIs and looking for the right solutions to reduce the risk of recurrence. 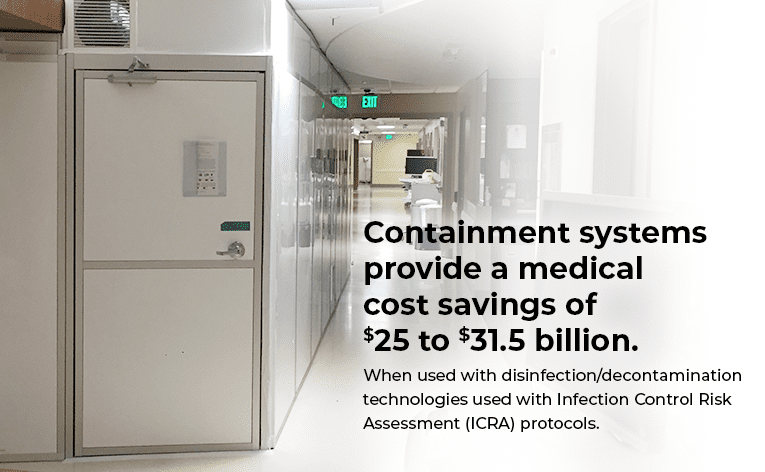 At STARC Systems, it is our goal to support the reduction of HAIs by providing industry-leading containment technologies for improved risk management and infection control.